It’s the Wednesday Dirk Koetter Confidence Poll. The weekly 24-hour poll posted at 11:3t a.m. Last week’s results are linked here. No confidence. Dirk Koetter and Mike Smith knows the Atlanta Falcons players better than anyone else and Sunday’s performance was the best they could come up with? Joe, you brought something up on Ira’s podcast and I thought it was very telling. For years people have been critical of Jameis for his “slow starts”. In the games Ryan Fitzpatrick has played the team has gotten off to slow starts. Perhaps it’s not the players fault and this is an issue directly tied to coaching. I think the person you referenced in that tweet has a good point. Anyone who is “Totally Confident” in this coaching staff, which has been doing a *worse* job than Lovie Smith in 2015, is trolling. Playing Winston with this awful hurt o-line? No confidence. I’m out. NO CONFIDENCE!!! !1…..for the 8th week in a row!!!! @drome:….that a good point regarding the slow starts….its evident that ties directly to coaching…. the only person(s) that voted “totally confident” are @realist and stpete and maybe one other….and those cowards wont even comment after voting like in the past…. over 70% of the fans have “little to no confidence” in dirk is telling….that’s an indictment on his coaching skills….bye dirk!! !….GO BUCS!!!! Lil confidence – that’s a rap name. But seriously folks the whole grandmothers reading glasses look has me concerned. No confidence, first time this year. Koetter talks a good game about explosive plays, but they aren’t happening. I think there’s become too much of an emphasis on those types of plays, to the point that Koetter is calling plays just to get those explosive plays. Stick to fundamentals, create an identity (find one thing the offense does well, and plan around that) and don’t out think yourself or your players while trying to out think the opponent. Do this and with the players we have, the explosives will come. Zero confidence in Dirk at this point. Maybe he could change my mind in the future, but doubtful. Speak loudly and carry a very small stick, Koetter. ok, so what is it?….the players?….everyone cant be a first round pick…. wake up and smell the roses….ITS COACHING!!! !….GO BUCS!!! I knocked her down a notch to no confidence. It’s not the firing of coaches every two years that is the mistake. The mistake is hiring the wrong coach every two years. Dummy… It very much is coaching….. I have no confidence in the coaching staff but I’m not advocating they get fired. The only person who should be let go in my opinion is Jason Licht. Four years and a worse winning percentage than Mark Dominick is long enough. Keep Licht and Dirk for 1 more year. it will be Winston’s last year of this first contract also. if it doesn’t work out blow the whole thing up. decide if you want another coach for Jameis and sign hom to another contract at the same tme you are bringing in another gm/coach. Fire Smitty 2 minutes after the season finale. 1. Koetter gives up playcalling. He has made too many mistakes and I think its because he has too much on his plate. He should give up playcalling and devote his newfound time to big-picture stuff. 2. Mike Smith has to go. Somebody’s head has to roll and the defense has been the weakest link (its not even close). The Bucs had a very good defense for a short moment in time last year but that has turned out to be an aberration. The defensive trend under Mike Smith has been bottom-of-the-barrel. I’d like to see the lower level coaching staff shuffled around (bring in some new blood at position-level). This season is effectively over anyways, so I think the goal of the Bucs now should be to just treat the rest of the reason like an extended preseason. Test the 2nd, 3rd string guys to see what they’re made of. If they prove themselves – great! 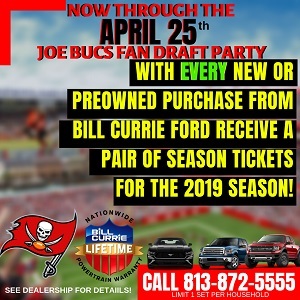 The Bucs then will have more options for next year or perhaps even a couple guys they can shop around for some more draft picks. Win-Win. The absolute HORROR..of being a Bucs fan!! I voted no confidence, why you ask? How many time can we get blown out by Atlanta, a team they use to coach?! No adjustments are made in any games we play, we’re always starting slow,. I swear we’re averaging 2 for sure blowouts a season. Why in the world are we not playing to our players strengths?! Wait, people are considering keeping Koetter as long as he stops calling plays? I see it a little different. He was a career O.C. not H.C. so he should maybe stick to calling plays ONLY. His H.C. resume doesn’t scream out that he is cut out for that position. Please Koetter go BACK to playcalling, preferably here but if it is contingent on being H.C., nah. Cuz he’s doing a better job AND he’s better at trolling his trolls!! Has appointed unqualified dimwits to every position possible. Currently under 5 different investigations. And the US has become a laughing stock to the rest of the world. You have a lot of opinions. Very few facts. And left out a ton of positives about your favorite President. But blind hatred is a powerful emotion to get around. I sincerely believe that once Dirk Koetter (if) a real DC he will be excellent head coach. Just not sure that will ever happen. It could be just that the team saw 16 straight games it killed their morale. Swaggy. They never were a mentally strong bunch to begin with. BUT. That’s just another reason to can Goodell!! I told you little or no confidence would be the result Joe. I mean, it wasn’t hard to predict, I admit. Look, for anyone that was still giving a vote of confidence but teetering, getting our doors blown off before halftime against the Falcons sealed the lack of confidence. What we think matters little but there is reason to believe the Glazers care about the fans and feel the same way about DK as the majority do. Smith needs to go faster than Dirk but I see them tied at the hip. LMAO “WINNING” head coach Dirk Koetter has no confidence from his fans OR his players. Not even the stick carriers! NA NA NA NA…..NA NA NA NA….HEY HEY HEYYYY… HE’S OUT OF TAMPA BAYYYYYYYYYYYYYY!!!!!!!!!!!!!!! I’m totally confident in Koetter. Jameis has ability wing, no running game, and a pourous defense to compliment. Reactionary fans are the best. What coach would come in here in this situation? It’s been 11 years since Simeon Rice, or any Buccaneer defender, had 10 sacks in a season. I would love to know why Licht would rather have Martin making 7 million and not cut him to put it towards paying Calais Campbell 15 million. Amazing to seee we didn’t have a need for an absolute stud defensive linemen? No pass rush=additional whoopings. Right on, Joe. You saw it coming and stuck with your conviction in the face of an angry Martin Mob. Kudos to you, Joe. Not happy that you’re right that Martin is toast, but you are right. I’m totally confident in Koetter. then your as stupid as @realist….notice he hasn’t made a post showing his confidence…..stop trolling…GO BUCS!!! !